As you know The Legend of Zelda CDi games has given us many things..from the first voice acting, continuing the Zelda II Adventure of Link gameplay to countless youtube parodies. Now those infamous custscenes have really outlived their original purpose with everything that’s been done about them but I unironically like the cutscenes in their original form and always have even when finding said clips was difficult to do on the net. What makes these so interesting to me is that it was one of the first times we saw the world of Zelda a little more fleshed out. Like the The Legend of Zelda cartoon it uses elements from fantasy that fit very well since the games were still rather basic at that point. In fact the game seems to be inspired by the Zelda cartoon in its tone even if it doesn’t really fit with it. The Arabian nights look of the games is just great and gives Zelda a rather nice character design, easily the only good one in the two games. Link: Faces of Evil has a standard plot of Link being the chosen one to save a location of Hyrule from a new enemy and Ganon and we go through a standard story. Zelda: Wands of Gamelon is a little bit more interesting having Zelda take the role of saving Link this time around. This makes the quest a little more interesting and makes you wonder why it hasn’t happened in another game yet. 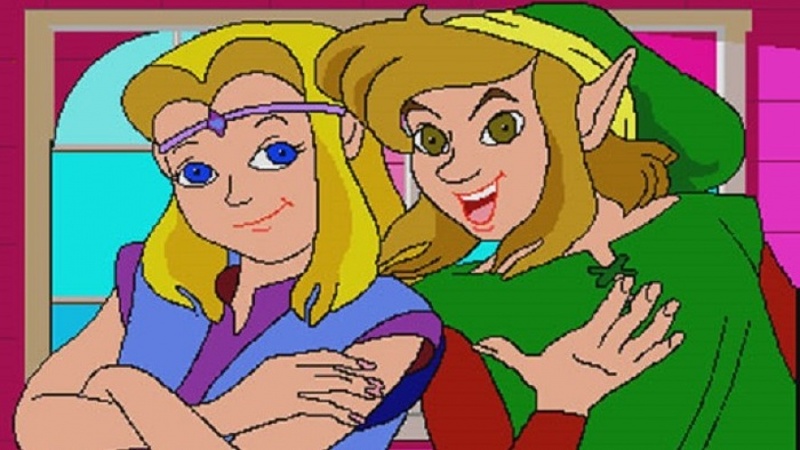 Bonus Secret movie is Zeldas Adventure which also came out on the CDi and also stars Zelda instead of Link. In this one they used live action actors and there isn’t much FMV which is why it’s a little lesser known and less itneresting.